This weekend here at World of Watches we will be show casing fresh new styles and designs from top brand name watch designer Invicta. This weekends Invicta event will include fantastic new styles like the mens Pro Diver Burgundy edition equip with a stainless steel band along with a bold and masculine design that is sure to have people looking twice. Also Women can check out the new Lupah Revolution a stylish casual chronograph that comes with a leather strap and accentuated with pink detail for a fun and funky touch. All new and existing Invicta time pieces will be reduced up to 90% off along with free shipping to guarantee the lowest possible price. Invicta fans can also check out our great selection of Invicta pen all reduced up to 89% off. 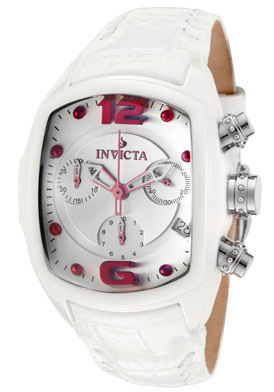 Now all Invicta fans can write as well as tell time in style. We have ball point as well as fountain pens in a selection of styles and colors for men and women. 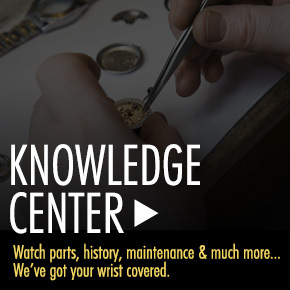 World of Watches is the place to shop for the best in name brand watches. 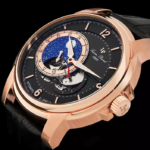 Find watch brand favorites like Swiss Legend, Armani and Jaques Lemans and many more. All collections hold price reductions of up to 95% off as well as free shipping to keep your price low. 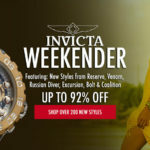 Don’t forget to log on to our Invicta weekender and find fresh new styles up to 90% off.